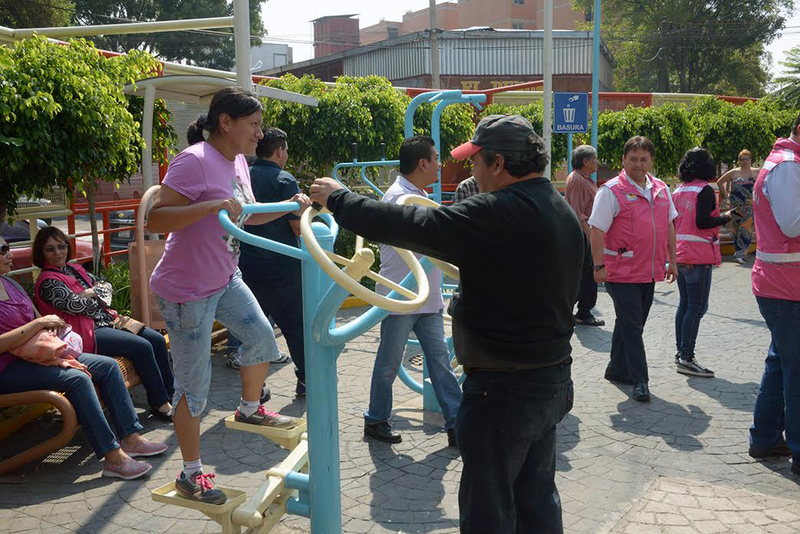 An innovative urban development program is activating positive change in low-income neighborhoods across Mexico City. Despite winning the World Habitat Award in 2011, the city government's Programa Comunitario de Mejoramiento Barrial (Community Program for Neighborhood Improvement, or PCMB) is surprisingly little-known outside Mexico. Socioeconomic inequality is deeply engrained in Mexico City's spatial structure, and neighborhood wealth generally corresponds with the quality of public services. The PCMB addresses this problem by funding revitalization projects in economically depressed areas. While living in one such area, El Pedregal de Santo Domingo, I noticed the program's impact on freshly painted buildings that were formerly concrete gray. Inspired to learn more about the PCMB, I met with economist Manuel Luis Labra Illanes, a member of the Malacate Civic Association who has been actively involved in developing the program. Our conversation is transcribed below. Can you tell us about how the PCMB came about? The PCMB came out of the Programa de Mejoramiento de Vivienda (Home Improvement Program, or PMV), which the Mexico City government started in 2000. The PMV helped improve people's houses through loans repayable over eight years, but it didn't address public spaces and other shared resources. So we began planning the PCMB, which launched officially in 2007. So the main difference between the two programs is that the PMV is for homes and the PCMB is for broader neighborhood projects? Yes, and the PMV is a credit system while the PCMB is a public benefit program. What are the core elements of the PCMB? How does it actually work? The guiding principle is that neighborhood residents decide what to do, how to do it and who will do the work. They administer the government funding. That's what makes the program unique. Another essential component is that it's a competition — community groups compete for available funds. In 2015, for example, there were 677 entries and roughly 200 projects funded. Does the amount of funding vary each year? The city government's Social Development Secretariat (SDS), which is responsible for the program, allocates funds that vary slightly from year to year and average around 100 million pesos. We carried out a study and found that, for a program of this kind in a city like ours, the base budget should be about 300 million pesos. How many times can a neighborhood group secure funding? Up to five. Applicants can receive a maximum of 500,000 pesos in the first year and a million pesos after that. How do you evaluate applications, distribute funds and prevent irregularities? There's a program committee made up of five civil servants and five civil society members who decide which applications to fund. The most economically disadvantaged neighborhoods take precedence. The program committee releases funds to a neighborhood representative, and that person has to be on a project committee. Local assemblies elect the members of these committees. If there are no project committees in a given neighborhood, residents have to establish them in order to receive funding. Each project has an administrative committee that monitors project spending and other implementation requirements to prevent irregularities. What specific issues do funded projects address? There are three main focal points: public space, infrastructure and neighborhood image. Projects can, for example, establish open squares, community gardens and needed infrastructure. They can also attend to neglected parts of the urban fabric through maintenance and beautification. Can you share your thoughts on the program's results so far? About 1,000 projects have been funded, covering each of the neighborhoods most in need and improving government services after decades of neglect. 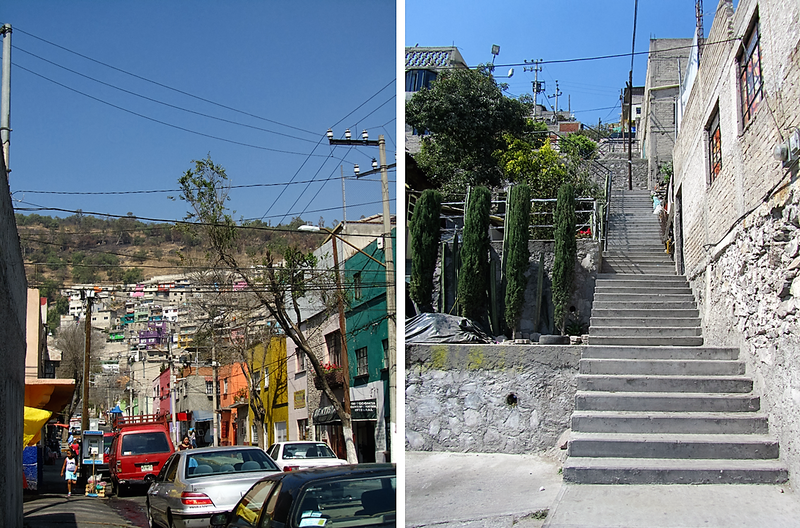 We're especially proud of reaching communities like Tepito, which are known for severe blight and violence. The Legislative Assembly of Mexico City recently approved a law through which the program budget is set each year and protected against rising inflation. This law also protects against threats to the PCMB's existence under new administrations. You see, there are politicians who don't like the program because grassroots administration makes it hard to control from above. What's in store for the PCMB in coming years? A few things. One is a problem with the current model: we have to figure out what happens when neighborhoods reach their funding limit. This is a discussion we're currently having. We're also discussing ways to fund larger projects — libraries, cultural centers, schools — with broader impact on neighborhood identity. This has real potential for reversing cycles of marginality. Opportunities are often closed to people from high-poverty areas, but social stigma declines with visible signs of progress. So neighborhood improvement signifies many things. We'd like to fund 30 medium-to-large projects a year through the PCMB or create a parallel program for this purpose. Another thing I'd like to see is a process for building relationships between neighborhoods with similar issues in different cities. There are nation-to-nation links and city-to-city links but I don't know if there are neighborhood-to-neighborhood links. Do you have any advice for people who are interested in starting a similar program? It's important to design the program with local communities instead of trying to impose a prefabricated model. The process has to be participatory, emerging through strong relationships with neighborhood residents. The original vision may be different from the way it develops in practice, and adaptability is key. When we began, we didn't imagine that we'd be attending to basic sanitation infrastructure, because that's the work of the central government. We were very theoretical in our conception of public space, viewing it as a kind of panacea for all the city's problems. 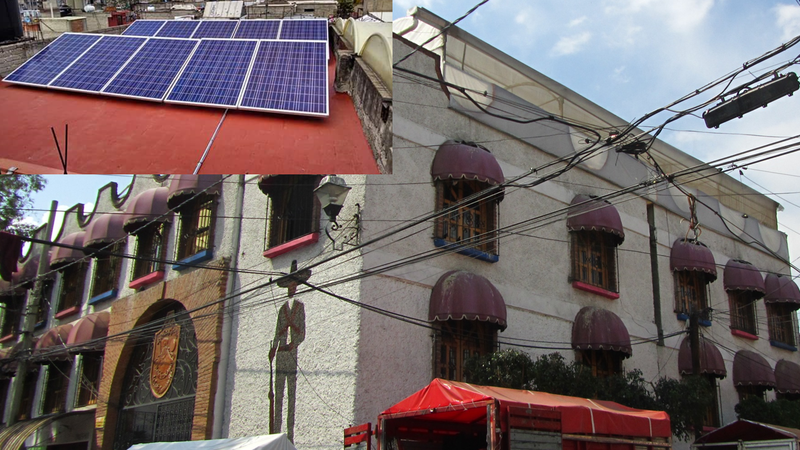 When I visited Colonia La Cruz, part of the Gustavo A. Madero borough, I was surprised to see how residents adapted the program to their infrastructural needs. It's really important to begin where you know people are interested — where there are community leaders and responsible participants. If you start out in a place where residents are apathetic, or where there are extreme social conflicts, the chances of failing increase exponentially. Start with a promising location, ensure the effectiveness of the program, and then you can move to more challenging situations. If not, funders will lose confidence in the project. Social programs come under a lot of fire, so it's critical to build a reputation for successful work. Wangũi Kamonji is a recent graduate of Wellesley College who researches urban socio-environmental issues in countries worldwide, including Brazil, Colombia, Mexico, Kenya, South Africa, Tanzania and Vietnam. She blogs about her experience at Sustainability from the Roots. So good to see a program like this take root and grow. I think starting with small projects through which people identify and solve problems in their own community can build momentum for larger projects over time. Thank you for the inspiring interview. Yes, this seems one of the best ways to unite perfect strangers around a common purpose, making neighbourhoods more attractive in the process. I understand your interest in expanding the program to fund projects that are more comprehensive. Just the fact that this program exists is a major victory in my view, since investment in low income neighborhoods is too frequently neglected or used as patronage and speculation. Still, if this program's track record can help disrupt that pattern and keep engaging people in local development projects with broader impacts, it would definitely verify the transformative potential in good governance. Your idea about neighborhood-neighborhood links would be another positive step in that direction. One way to build support for this kind of work is to show that, rather than being piecemeal or limited in scope, it builds a good image for the city as a whole. So you're making the city more livable and attractive from a lot of different perspectives. The most important thing, though, is to make sure it isn't just window dressing.